We all deal with the grueling task of being tested, whether we are in grade school, in college, on the job site – or dealing with everyday situations (parenting, teaching, etc.). It seems we face some sort of test in our life every day, whether a paper/pencil exam or making the right moral choices. As a school counselor, I am tasked with assisting students and parents with making the right choices to successfully work their way through school – academically, socially, and emotionally. Today I want to focus on the academic realm and the tests and exams that all students must go through. 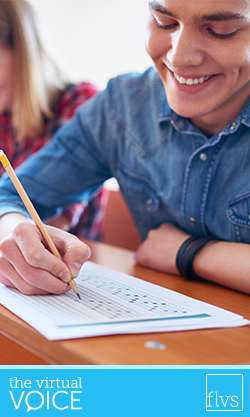 I’ll share tools to help them be successful when faced with these assessments. Some of the points I will share can cross into other facets of tests that we all go through in our personal and professional lives as well. Be sure to save this handy acrostic blog post full of tips for your next big exam!